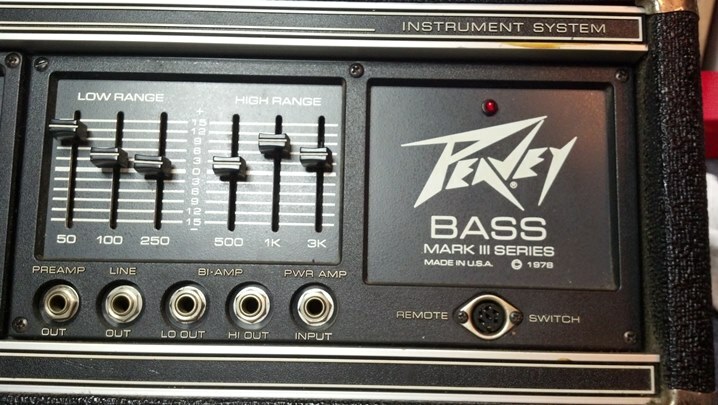 This solid state Peavey Bass head is also capable of handling mixer, equalization, and preamp roles for public address, monitor, and other sound reinforcement roles. But power amp quit! Can the Unbrokenstring Crew help? 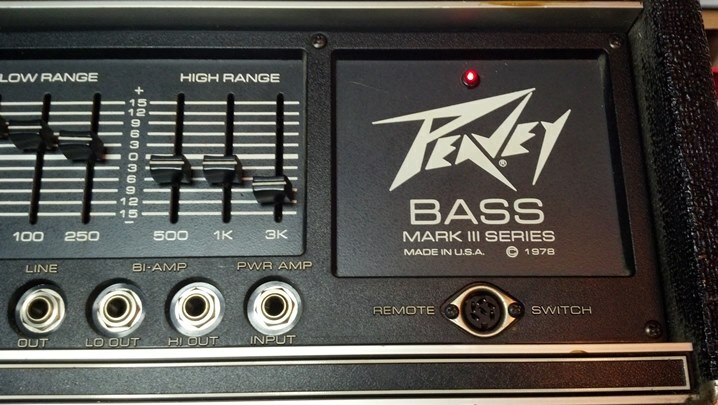 The AutoMix function that Peavey developed has been discussed elsewhere in the blog. 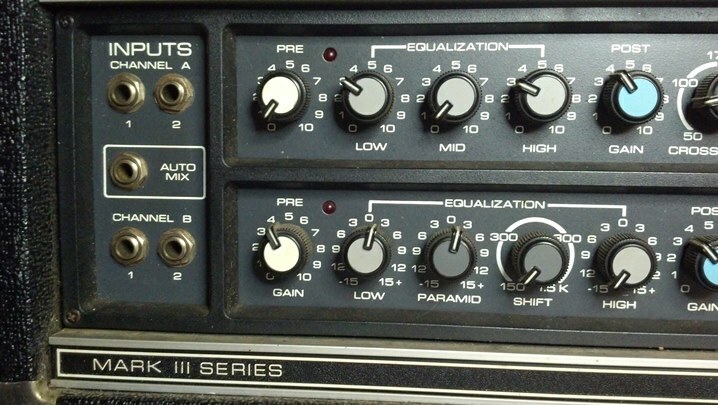 Lots of EQ knobs here! 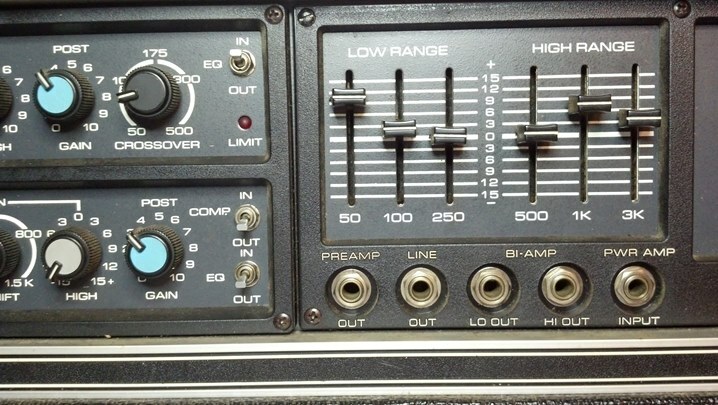 Note the graphical EQ and bi-amp capability. Woah! An Instrument System! Ooh. Aah. 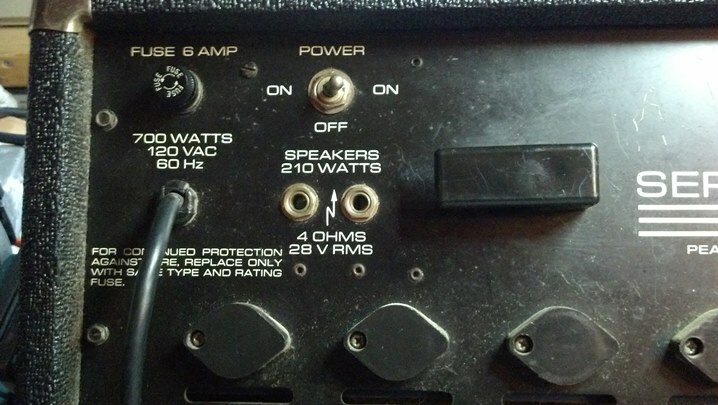 On the rear panel is the power switch and speaker connections. 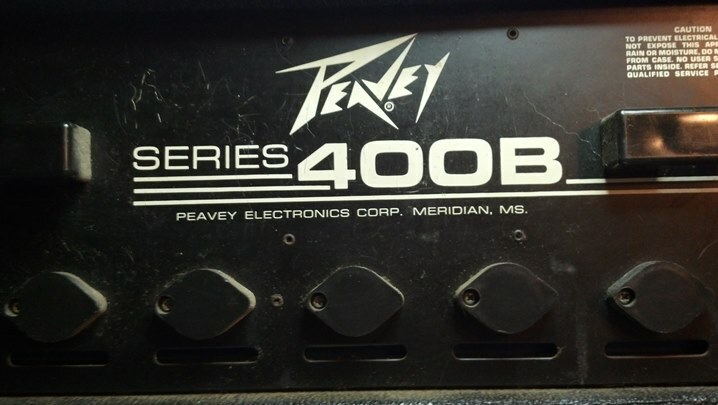 Peavey mixes and matches front panels (inputs, preamp, eq) and rear panels (ps, power amp) to build different heads. As is the case with many pieces of electronics, the City of Los Angeles Fire Department approves this unit! Name, rank, and serial number, please. 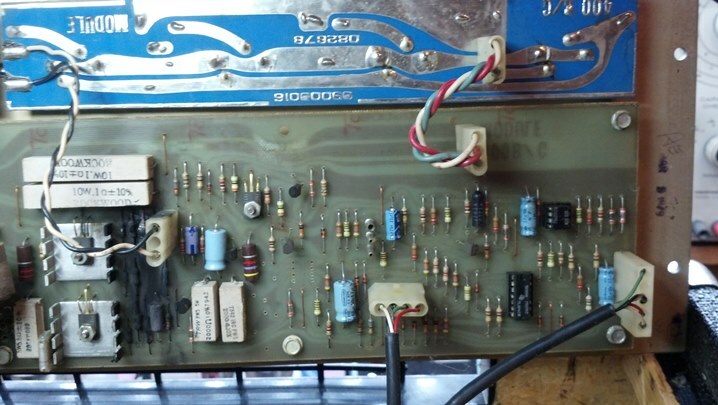 The blue circuit board at the top is for connections to the power transistors. 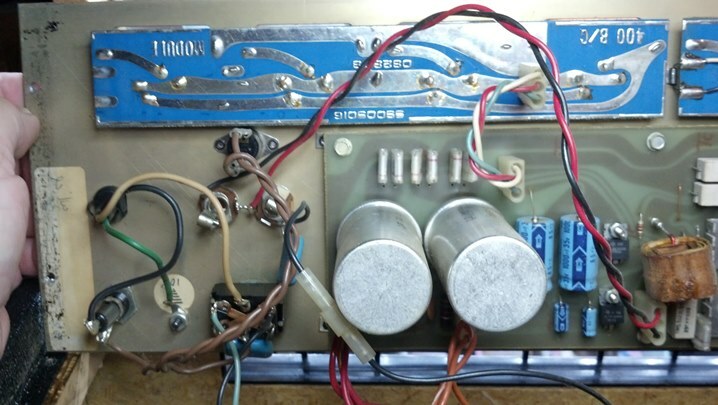 The I/O connections are to the left and the power supply filter caps are seen here. More blue boards at the top, for power transistors. 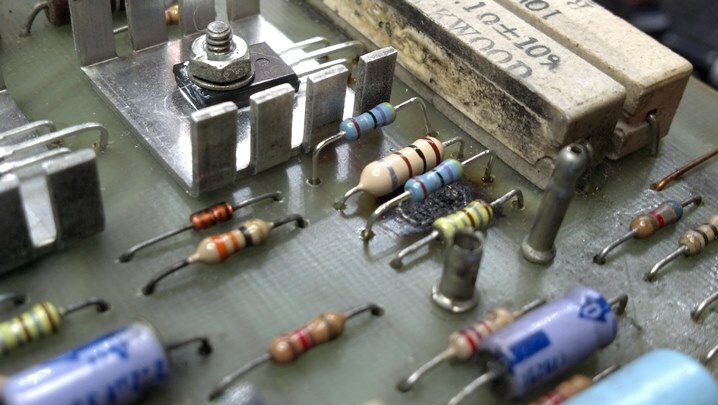 Driver transistors are found on the square heat sinks. Do you see the problem yet? 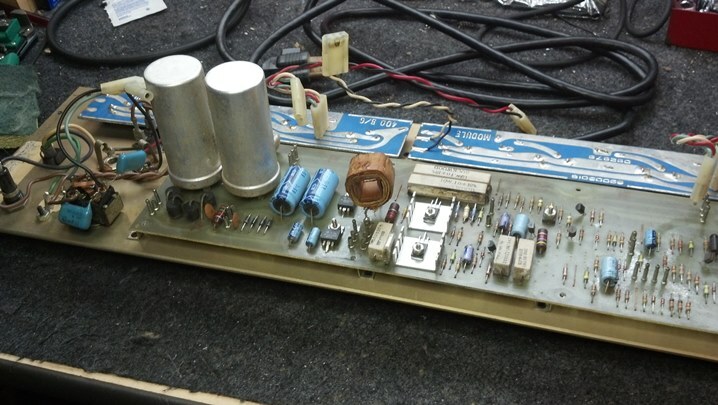 This circuitry is all preamp and tone circuitry. 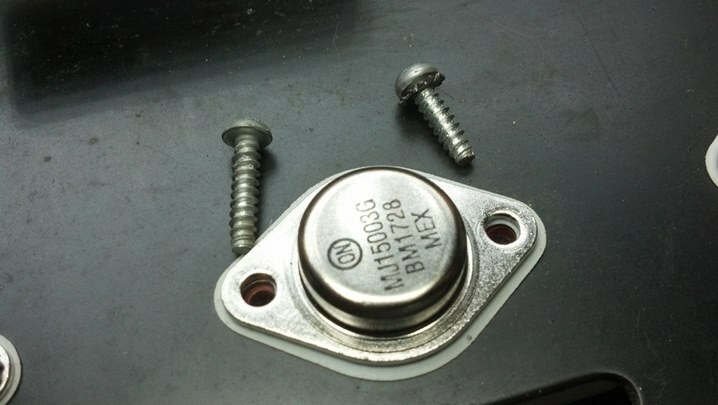 The worst damage was to components that were near the root cause. 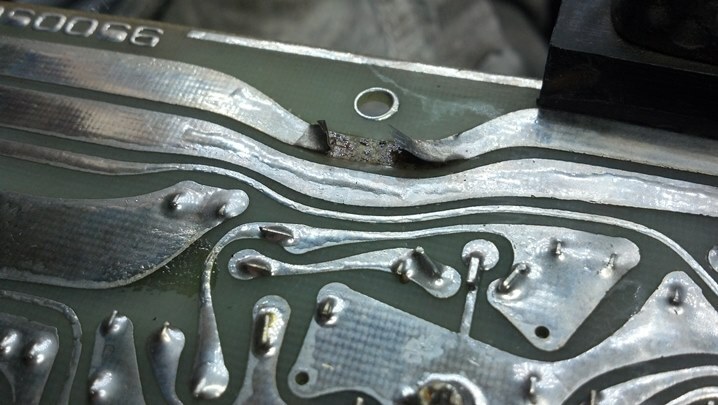 They burned because the transistor on the aluminum heat sink suffered an internal short circuit. 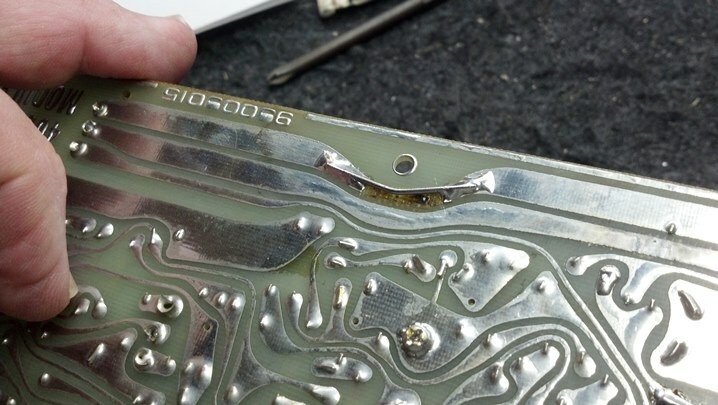 The heat of the electrical fault was high enough to melt solder, which happens around 650 deg. F.
A matched set of driver transistors were installed and the circuit board cleaned. 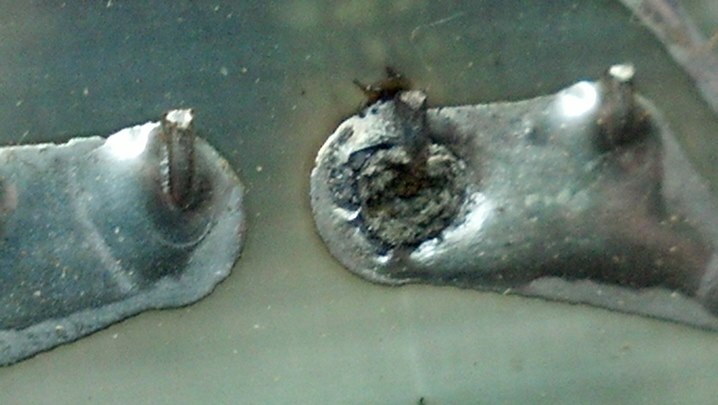 The destroyed components to the right have been removed and will be replaced. 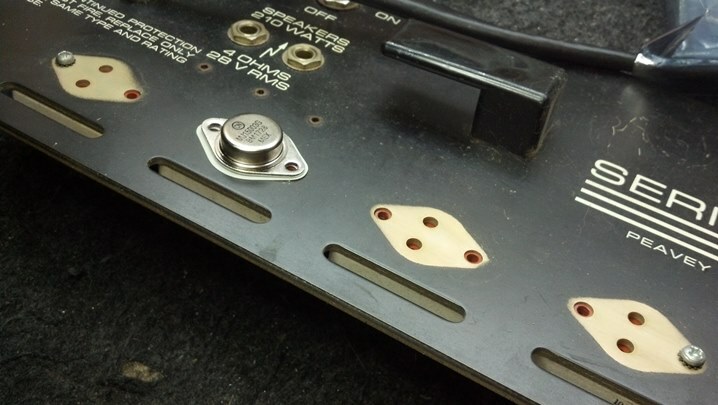 The new parts are mounted just above the circuit board. 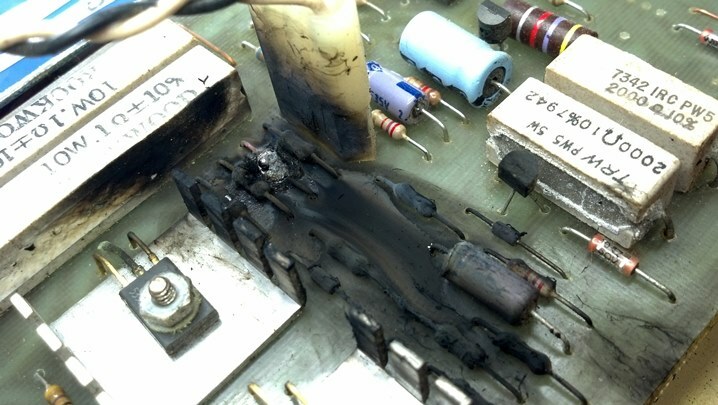 We can get flame-proof resistors now, unlike when the unit was built with in the 1970s. More collateral damage was found on one of the blue boards. 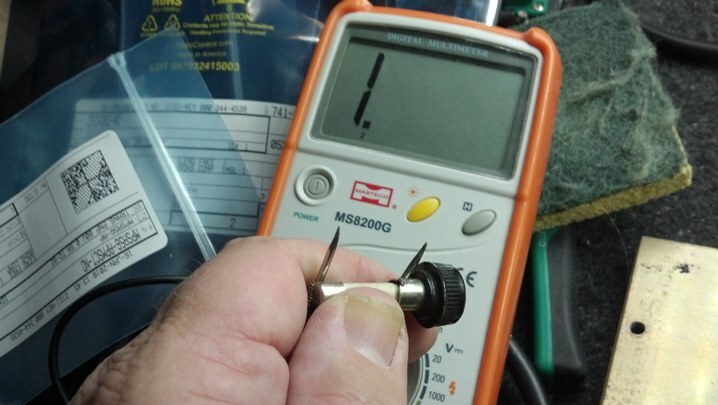 This solder trace acted as a fuse at its narrowest point. The circuit board is now cleaned up and the gap is bridged with a bit of 16awg solid copper wire. 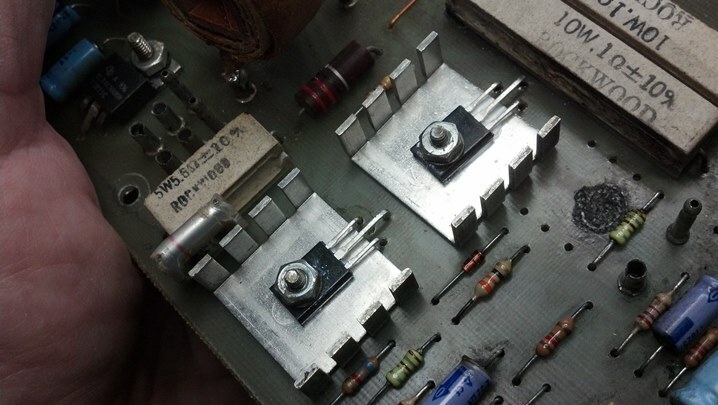 Some of the power transistors were shorted as well, so all of them are now replaced with a matched set of eight. 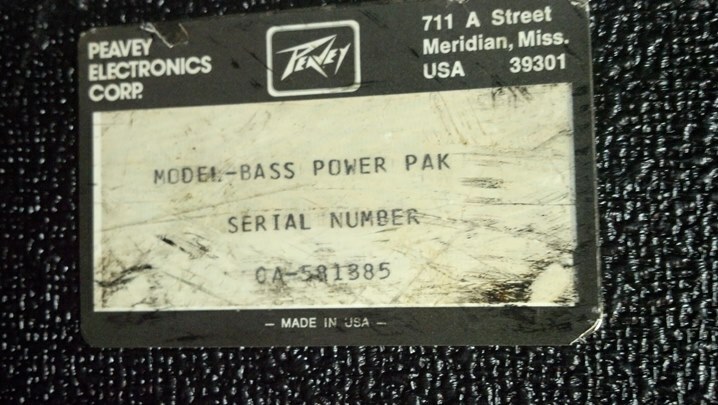 These parts are still made by ON Semiconductor, the heir apparent to the Motorola semiconductor product line. The electronics are back together. 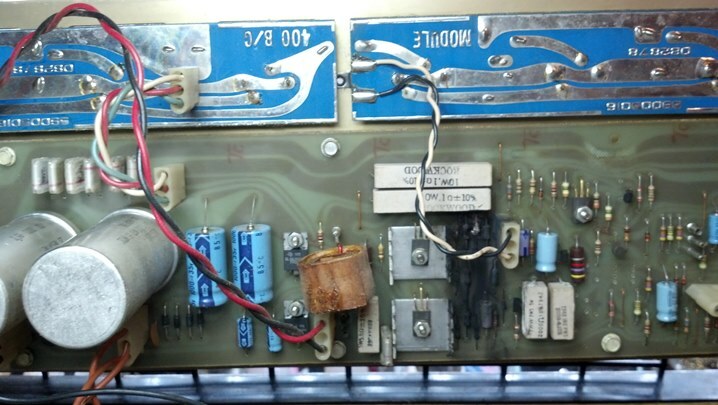 The filter capacitors are original, but are still in great shape, so they remain in service. 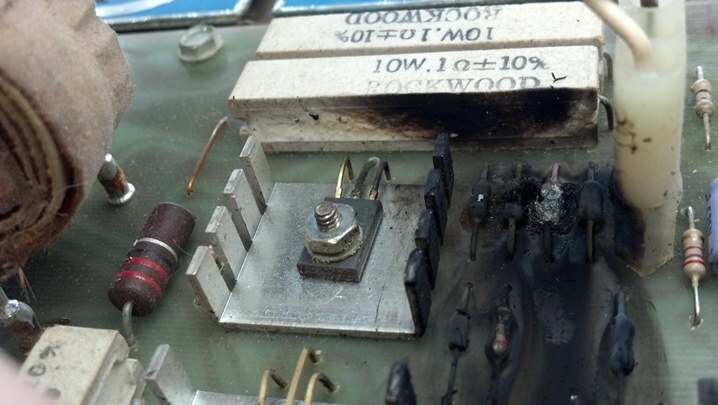 And, of course, after all the components and circuit boards are in flames, the fuse finally does its job. Of course. 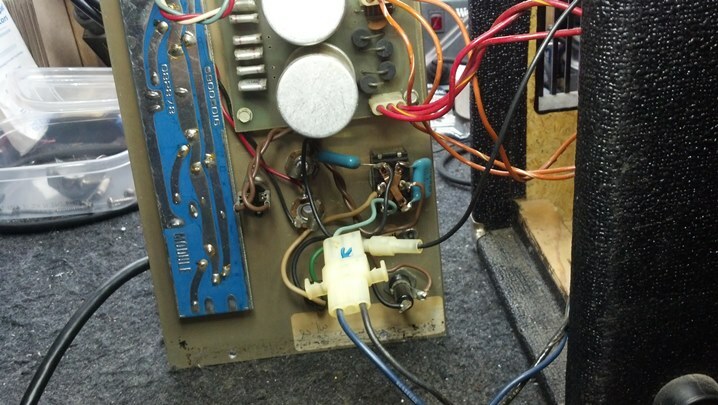 With a new fuse, the electronics are connected again and initial tests begin! This unit is back on the air! This unit is almost hifi sound quality, with endless bottom end. Good Job Peavey! 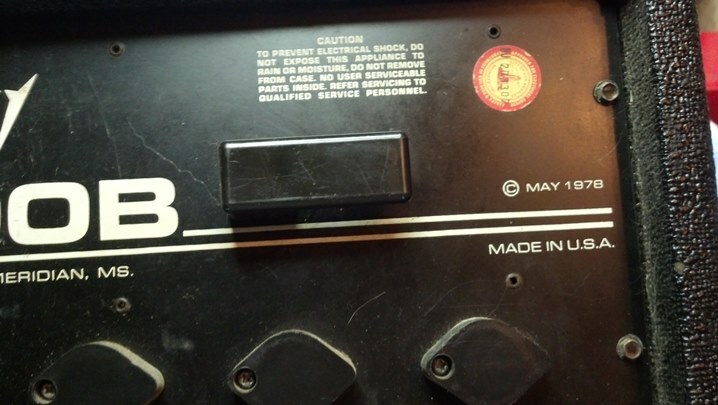 ← Warmoth FrankenCaster: It Lives!